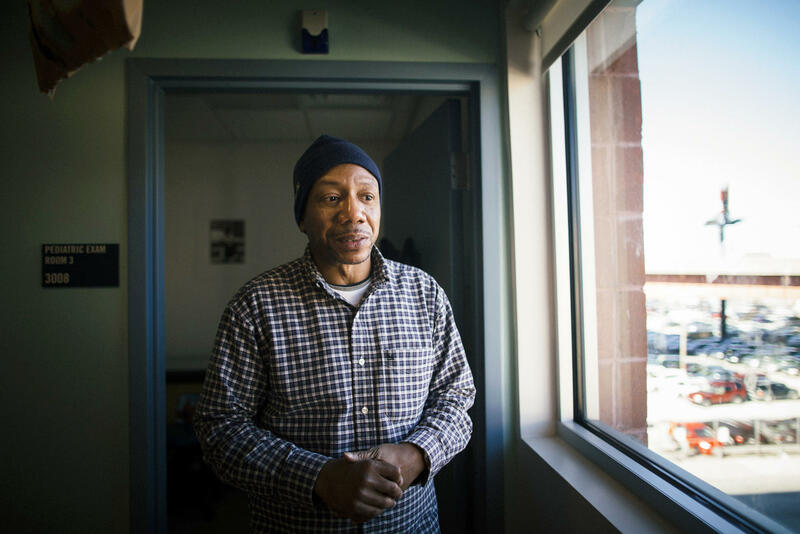 Joseph Funn experienced homelessness for almost 20 years, until he moved into an apartment in December. 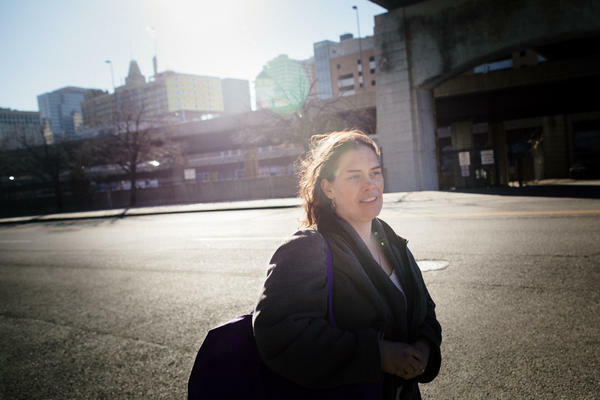 Athena Haniotis leaves the Health Care for the Homeless clinic in downtown Baltimore. Funn now sees nurse practitioner Amber Richert regularly at a Health Care for the Homeless clinic in Baltimore. 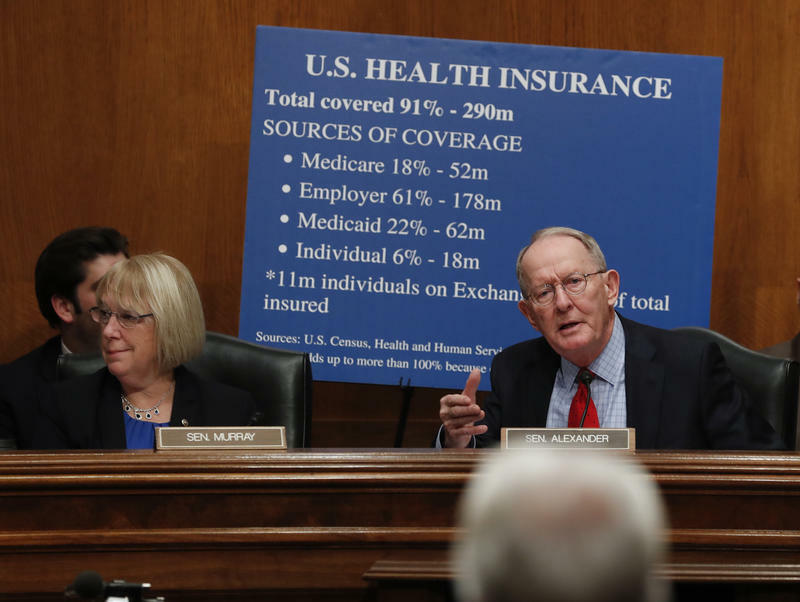 Everyone expects Congress to change the Affordable Care Act, but no one knows exactly how. Joseph Funn, homeless for almost 20 years, says his body took a beating while he lived on the street. 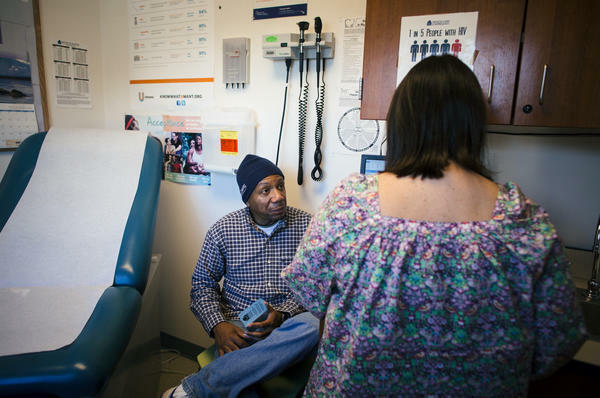 Now, he sees nurse practitioner Amber Richert fairly regularly at the Health Care for the Homeless clinic in Baltimore. At a recent visit, he mentioned that he'd been having some chest pains. "And when exactly did you quit smoking?" Richert asked. In December, he said, when he moved into his first apartment in decades. That was a big change for the 56-year-old. Last winter, Funn was living outside and trudging through deep snow for days. His left foot got so swollen, he could hardly walk. "It was frostbite," he recalled. "I thought when you had frostbite, it's like when you turn purple and blue. But when I came to see Dr. Amber, she said, 'No, that's when they have to cut something off.' So I was like, 'Whoa!' "
Funn was admitted to the clinic's convalescent center to be treated. The staff also signed him up for Medicaid, the government's health insurance program for the poor and disabled. Like many people who are homeless, Funn was uninsured. But under the Affordable Care Act, Maryland is one of 31 states and the District of Columbia that expanded Medicaid to cover nondisabled childless adults. Health Care for the Homeless President Kevin Lindamood said that before Obamacare, only 30 percent of the patients they saw had health insurance. The group provides health care to people without homes as well as others who are in transition to more settled lives. "Now [it's] 90 percent of our clients, from 30 percent insured to 90 percent insured, either through Medicaid or Medicare," he said. "That's a transformation." He said the change allowed Health Care for the Homeless to open new clinics, including one for dental care, and to double the number of clients that can be seen. The group also hired more outreach workers to encourage homeless people to come in for help. Homeless advocates have argued that better health coverage should eventually reduce costly emergency room visits. They also say coverage can help people get off the streets by dealing with chronic problems, such as mental health issues, that might keep them outside. Lindamood said his clients are now worried. "We're working with very vulnerable people who are now coming to us, hearing the news in general and saying, 'Wait a minute, I just got access to care. Does this mean I'm going to lose it?' " he said. Republicans have promised to replace Obamacare but haven't said how. President Trump has said no one will lose coverage. But White House counselor Kellyanne Conway has also said the administration hopes to turn Medicaid into a block grant — meaning states would get a set amount of money, along with more control over how to spend it. "I think there's a good case to be made that states will have more money to devote to the truly needy folks, because states will be more aggressive, in reining in wasteful expenditures, reining in unnecessary expenditures, reining in fraud," said Michael Cannon, director of health policy studies at the libertarian CATO Institute. But others are skeptical. Barbara DiPietro, policy director for the National Health Care for the Homeless Council, says block grants will likely mean less federal funding for Medicaid, forcing cash-strapped states to make tough choices about whom to cover. "So when we talk about no one will lose coverage, that's heartening," said DiPietro. "But the details are always very important. What does that coverage look like? The population we serve typically falls through the cracks." Almost 900,000 patients are served by Health Care for the Homeless projects around the country. At the end of 2015, two years after Obamacare went into effect, about half those patients had Medicaid coverage. Joseph Funn said losing Medicaid would be a hardship for him, but he also thinks there are a lot of people on the streets of Baltimore who are worse off than he is. "I can see them cutting me and giving the money to the people that need the most help," he said. Now that he has his own apartment, he plans to get healthier so he won't need as much care. We do not know yet if Obamacare will be replaced. 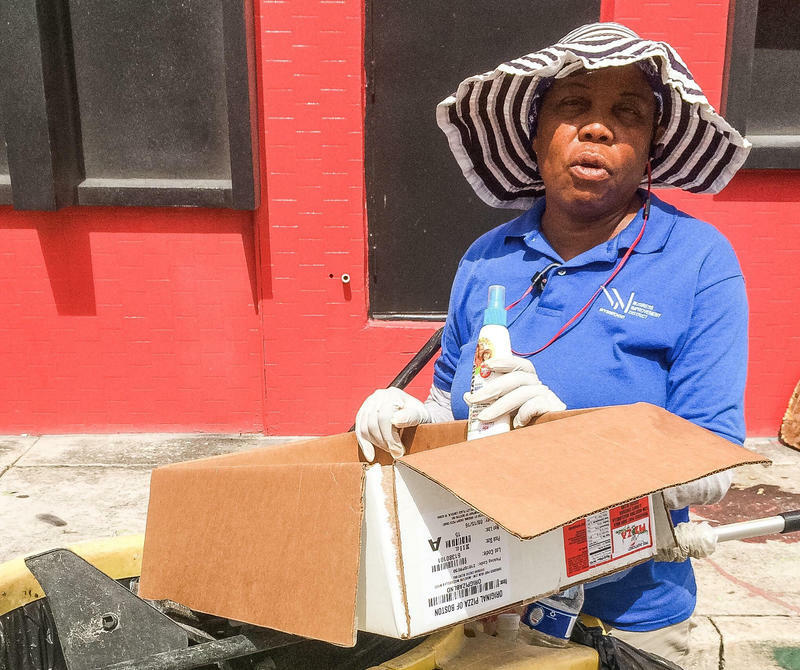 As NPR's Pam Fessler reports, one community facing uncertainty are the homeless. PAM FESSLER, BYLINE: Joseph Funn was homeless for almost 20 years, and his body took quite a beating living outside. 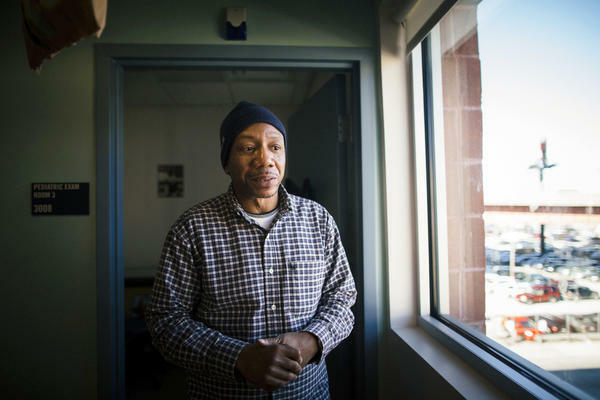 He now sees nurse practitioner Amber Richert fairly regularly at the Health Care for the Homeless Clinic in Baltimore. AMBER RICHERT: And any chest pains now? JOSEPH FUNN: I've been like probably closer two weeks, two and a half weeks without any, and that's really good. They were really scary, yo. RICHERT: And when exactly did you quit smoking? FESSLER: He says in December when he finally got an apartment. That's a big change for the 56 year old. Last winter, he had to trudge through deep snow for days until his foot began to swell so much, he could hardly walk. FUNN: It was frostbite. So I thought when you had frostbite is like when it turn purple and blue. But when I came to see Dr. Amber, she said, no, that's when they have to cut something off. So I was like whoa, you know? Whoa. FESSLER: He immediately went to the clinic's convalescent center to be treated, and they got him signed up for Medicaid. Under the Affordable Care Act, Maryland is one of 31 states that expanded the health insurance program for the poor to cover non-disabled childless adults like Funn. Health Care for the Homeless President Kevin Lindamood says before Obamacare, only 30 percent of their patients had health insurance. KEVIN LINDAMOOD: Now 90 percent of our clients from 30 percent insured to 90 percent insured either through Medicaid or Medicare. That's a transformation. FESSLER: One, he says, that's allowed them to open new clinics including one for dental care and to double the number of clients they see. They've also hired more staff to go out and encourage people to come in for help. 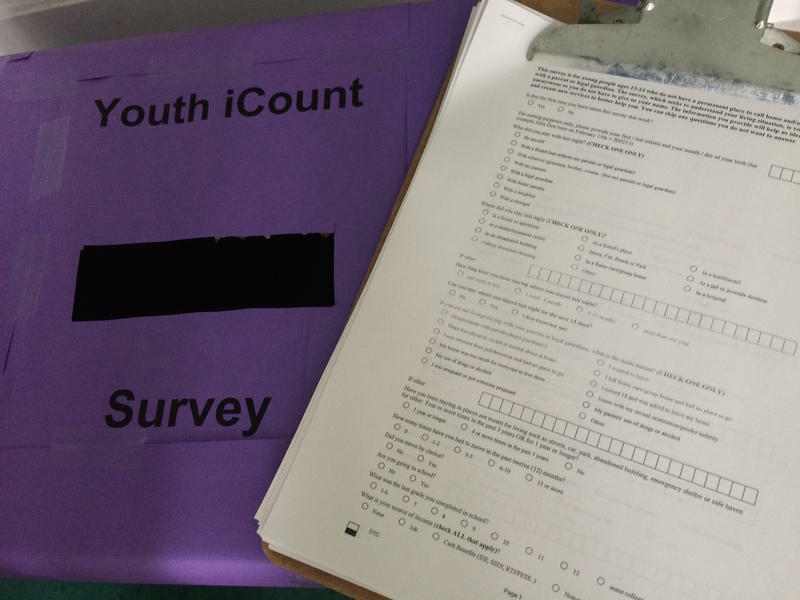 Homeless advocates have argued that better health coverage could eventually reduce costly emergency room visits, and that it will help people get off and stay off the street. Lindamood says his clients are now worried. LINDAMOOD: We're working with very vulnerable people who are now coming to us, hearing the news in general and saying wait a minute. I just got access to care. Does this mean I'm going to lose it? FESSLER: And no one really knows. 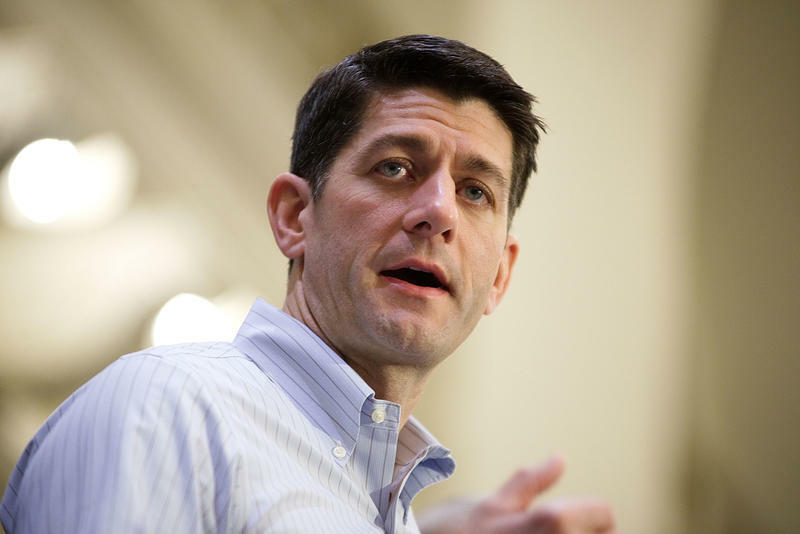 Republicans have promised to replace Obamacare, but haven't said how. President Trump has said no one will lose coverage, but White House counselor Kellyanne Conway has also said they hope to turn Medicaid into a block grant, meaning states get a set amount of money along with more control over how to spend it. Michael Cannon of the Libertarian Cato Institute thinks that will ultimately benefit the homeless. MICHAEL CANNON: I think that's a good case to be made that states will have more money to devote to the truly needy folks because states will be more aggressive in reining in wasteful expenditures, reining in unnecessary expenditures, reining in fraud. FESSLER: But others are skeptical. Barbara DiPietro is with the national Health Care for the Homeless Council, a network that serves almost 900,000 homeless patients. She says block grants will likely mean less federal funding forcing cash-strapped states to make tough choices about whom to cover. BARBARA DIPIETRO: So when we talk about no one will lose coverage, that's heartening. But the details are always very important. What does that coverage look like? The population we serve typically falls through the cracks. FUNN: I think these are the first pictures I took of it. FESSLER: Back at the Baltimore clinic, Joseph Funn proudly shows pictures of his new apartment. FUNN: This is the bedroom there. That's the heater unit. This is the - all the windows go from the floor almost to the ceiling. FESSLER: He loves that it's so peaceful. One of his biggest problems is stress. Funn says losing Medicaid would be a hardship, but he also thinks there are a lot of people on the streets of Baltimore worse off than he is. FUNN: I can see them cutting me and giving the money to the people that need the most help. FESSLER: And his plan right now is to get healthy, so he doesn't need as much help. Pam Fessler, NPR News. Transcript provided by NPR, Copyright NPR. There's a moment in the Broadway musical Hamilton where George Washington says to an exasperated Alexander Hamilton: "Winning is easy, young man. Governing's harder." When it comes to health care, it seems that President Trump is learning that same lesson. Trump and Republicans in Congress are struggling with how to keep their double-edged campaign promise — to repeal Obamacare without leaving millions of people without health insurance. Republicans are increasingly talking about repairing former President Barack Obama's health care overhaul, a softening of tone that comes as their drive to fulfill a keystone campaign promise that encounters disunity, drooping momentum and uneasy voters. Through years of acrimony over the relative merits of Obamacare, one kind of health insurance has remained steady, widespread and relatively affordable: Employer-sponsored plans. Job-based medical plans still cover more Americans than any other type, typically with greater benefits and lower out-of-pocket expense. Recent cost increases for this sort of coverage have been a tiny fraction of those for Obamacare plans for individuals. 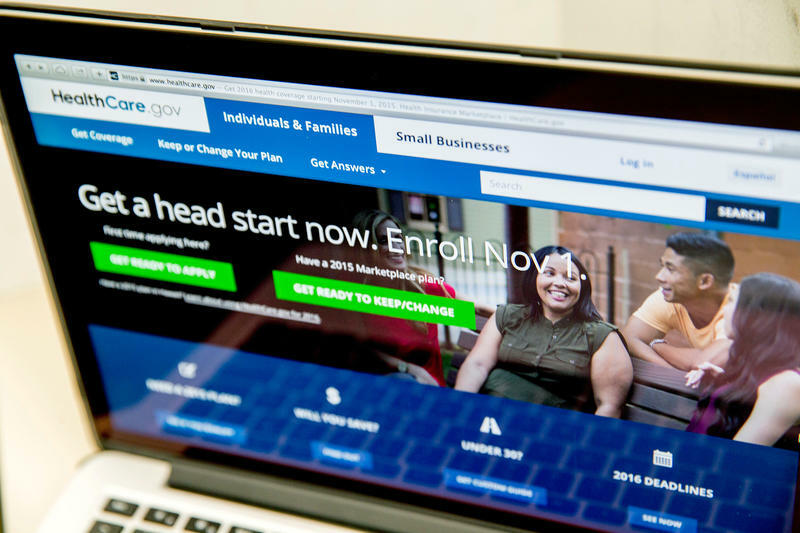 It's the last day to sign up for health insurance under the Affordable Care Act. 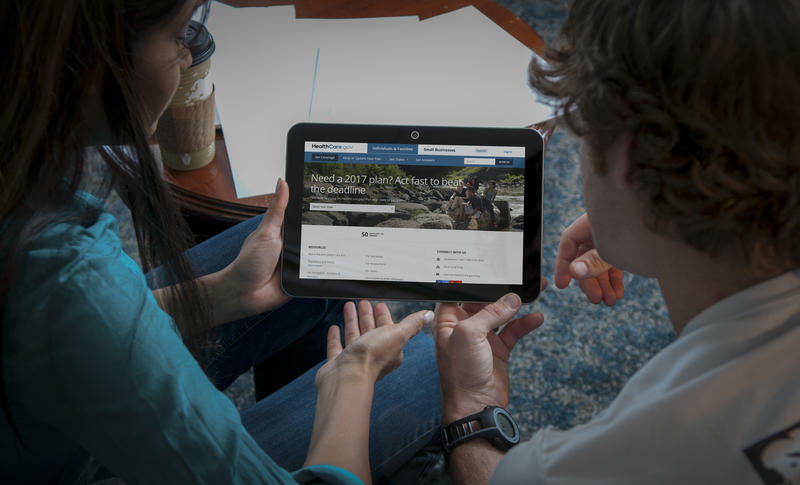 And at Whitman-Walker Health, a community health center near downtown Washington, D.C., people have been streaming in looking for help choosing an insurance plan. Katie Nicol is a senior manager who oversees the five so-called navigators whose sole job is to help people sign up for insurance coverage.